Who else might want to find their Nine Parchments and complete their spellbook? Find out in our next post. Hello TheraNord, glad you like our Owl. As for your questions, I don’t see why I shouldn’t answer them 🙂 We can use this reply as a draft for a blog post about it later on, if the occasion rises. Our truant students will be talking across the levels. After the boss encounters which were actually seen in the Switch announcement trailer, there is a spot of dialogue in the level right after. What you will hear them talk about will depend on who they are with. If they are alone, they will talk to themselves about their quest to find the Nine Parchments. If they are with another character, they will engage in conversations with them about their personal differences, grievances, questions, histories, similarities and mutual interests. And if you have three or four different characters, they will shed a leeettle bit more light on what is going on in the world, why is everything trying to kill them, and what happened to the Astral Academy library to cause their current situation. More than Trine, Nine Parchments will attempt to draw you into the adventure multiple times, and we thought this kind of dialogue variation would be a fun little detail to give variation to the narrative as you embark on your quest for the Parchments. And since we have a somewhat… hmm… ridiculous amount of variation with these party banters, (each trigger has like a hundred different conversations depending on who you are and who you are with), it’s not feasible to have cutscenes for all of them. But we’ll have beautiful loading screens – just like the one with Cornelius, which was seen at the end of our Monthly Report post just recently in the blog. And of course the levels themselves are amazingly gorgeous! And other similar to them 🙂 Would you be able to answear them at this point in time? – Nine Parchments is set into a period of time after a completed Trine 3 story. There is the teensiest, tiniest bit of overlapping in some metaphorical-representational sense that is logical in my head, but is difficult to translate to reality, so I won’t go there. Let’s just say: after. – I don’t think Sarek really cares about anything but himself. 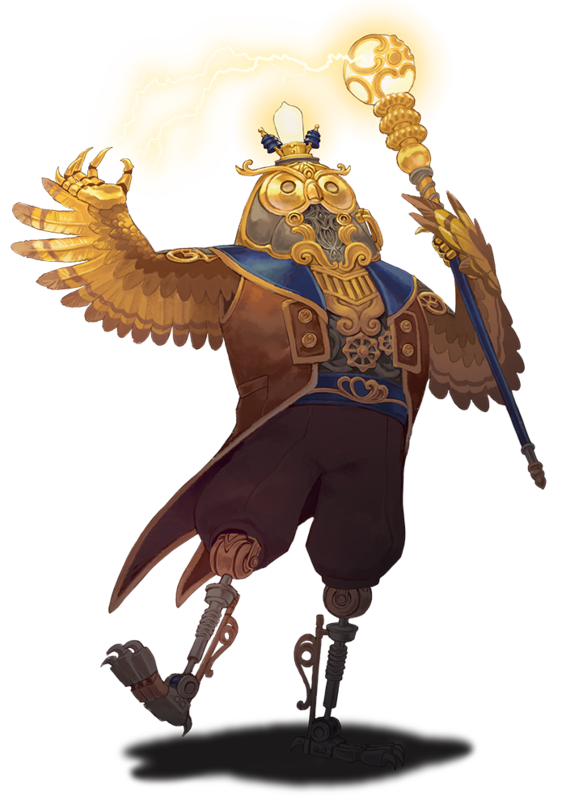 – With the Nine Parchments taking place in the world of Trine, there’s always a chance we might hear of a familiar face or three. But the focus of the game’s characters is definitely on our truant students!